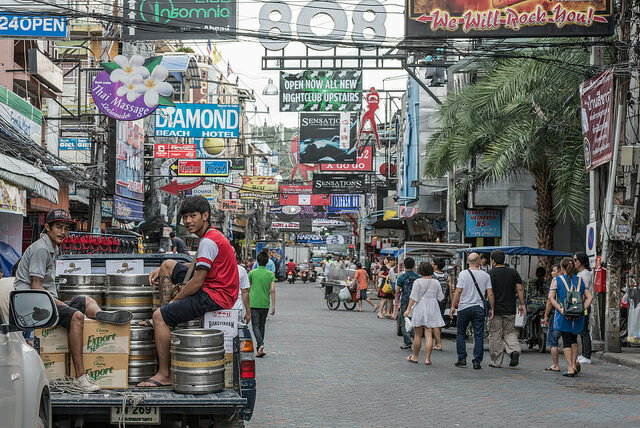 The Walking Street Pattaya is very famous for its night life. This place is offering many options of entertainment which is located in the southern Pattaya. The north side is more silent. However there are many clubs and pubs on the street. This street is closed for the walkers after 6 PM. 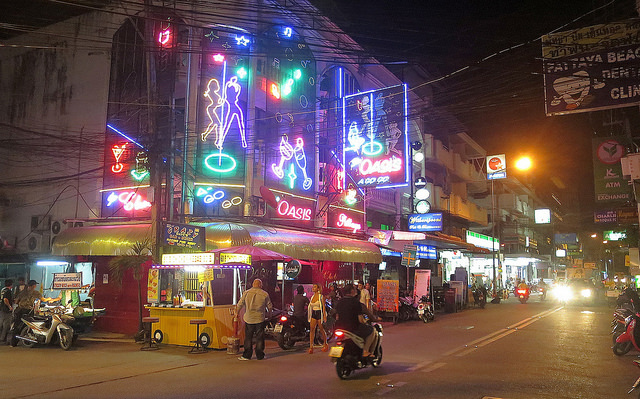 The glowing and colorful neon are everywhere in the Walking Street Pattaya. In this area, there are 100 bars; over 30 go-go bars, discos, massage reflexology, as well as the cabaret show. The Night Life In Pattaya is open from the 6 PM until 2 PM. Here we give you two recommended pubs located in Walking Street Pattaya. First is the Blue Factory pub. This pub is famous for the live performance from the Blues, Rock, and RnB local and talented Thai artists. The pub is also equipped with the latest audio system. The House band often plays here. There is also the Blue Machine band with the vocalist from the Philippine. The music director of this pub is the winner of BB King Lucile prize, Ken Minihan. The most popular famous guitarist in Thailand, Lam Morrison often performs in this pub. The music played in Club Insomnia often play the hip – hop and more commercial music with the nice and amazing light and visuals effect. Often, the international and famous DJ performs here. This club also offers you some drinks and cocktail with nice and competitive price. The Tony Entertainment Complex often features the superb music concert; rock, hip – hop, RnB, and pop from international and famous artist or the cabaret show. This Pattaya Walking Street Night Clubs is very comfy and there are mattress to relax yourself and amazing touchscreen. The DJ always plays the newest dance song. The dance floor is very big which enables you to dance freely. Candy Shop is the open fronted club which offers you funky, hip – hop, soul, RnB live performance each nigh starting from 9 pm. The club will turn you with its hard sounds of disco. There are many beers, whiskies, or cocktails offered in this club located in Walking Street Pattaya.